Considering an Alternative Fuel Vehicle In Buena Park? There is a clear and vocal demand in Orange and nationally for a reduction in air pollution and our dependence on fossil fuels. This is what is driving the CA market for alternative fuel vehicles. There are a number of these vehicles on Buena Park area roads today, and many more being developed. Yet each of these vehicles has its own advantages and disadvantages. Orange drivers should learn what these advantages and disadvantages are before running out and purchasing one of these alternative fuel vehicles at your nearest Buena Park dealership. Buena Park auto owners should carefully research the car care before buying an alternative vehicle, as it may or may not coincide with the standards for gasoline vehicles. You should look at costs and MPG as well: these vehicles may help save our environment here in Orange, but that might not represent a savings to your wallet. You’ll need to decide what you can afford, and what will work for your lifestyle. Also, your choice of vehicle may be affected by what fuels are available in your Buena Park area. Switching to an alternative fuel vehicle is not a bad decision, but it should be a carefully considered one. Flex fuel vehicles can run on gasoline or on a combination of 85% ethanol and 15% gasoline. Because of the 85% ethanol content, this fuel is commonly called E85 in CA. Ethanol is made from corn. So flex fuel vehicles lessen our dependency on fossil fuels. But they also raise the price of corn, which is a basic foodstuff in some areas of the world. Whether replacing fossil fuels with corn is a good idea is hotly contested right now. Flex fuel vehicles do have lower harmful exhaust emissions than gasoline-powered vehicles. And in Buena Park, E85 is usually lower in cost than regular gasoline. When gasoline prices fall in CA, however, they can drop below the price of E85. This is to Orange motorists’ advantage, since the vehicle can run on either fuel, but it negates the benefits of lowered exhaust emissions and lower consumption of fossil fuels. One piece of Auto Care Plus auto advice before we move on: do not put E85 into your SUV unless it has an engine designed for flex fuels. Because of the high ethanol content in E85, engines need special seals and gaskets to function properly on this fuel. Running an ordinary engine with E85 can lead to gas leaks and fires. Diesel engines are nothing new on CA interstates, and many get great fuel efficiency. Diesel fuel can now be made from vegetable oil and other renewable sources. A diesel fuel made from algae will soon be on the market in Buena Park. Natural gas is less expensive than gasoline in Orange and burns more cleanly. Also, gasoline engines can be adapted to run on compressed natural gas, and many natural gas vehicles are already on Irvine roads. You can even install a special pump in your home gas line to use to fuel your vehicle. If you are interested in converting your gasoline engine to run on CNG in Orange, ask your Auto Care Plus service professional about it. On the other hand, an engine running on natural gas is not as powerful as one running on gasoline, and it will get lower MPG. Also, the tank you need to store natural gas is large—it takes up nearly the entire trunk of your car. Further, refueling stations are still few and far between in some CA areas, or even unavailable, in many parts of the country. Another alternative fuel that has enjoyed a lot of hype in Buena Park is the hydrogen cell. The natural appeal is that the only exhaust is water vapor. In other words, hydrogen represents a truly clean-burning fuel. But hydrogen vehicles won’t come into widespread use until refueling stations become widely available here in Orange and around the country. Electric vehicles were all the rage in CA some years ago. But their limitations were quickly realized by Orange drivers. These vehicles won’t come into their own until we find ways to improve their batteries. Currently, the cars have a short range before their power runs out, and can only be realistically used close to home. However, they are easy to recharge, since they can be plugged in at home, and there are many researchers working on improving the battery technology in these vehicles. They may yet be the vehicles of the future. Hybrids have been one of the most successful alternative fuel vehicles here in Orange and throughout the county. A hybrid gets its name because it has both a gas or diesel engine and an electric motor. There are two types of hybrids. The full-hybrid relies on the electric motor for power, but the gas (or diesel) engine generates power for the battery. Thus, while still consuming fossil fuels, it uses less of them than a standard automobile, and also reduces harmful pollutants. Also, it overcomes the range problem of the strictly electric vehicle. In a mild hybrid, the electric motor assists the gas or diesel engine in powering the car. Thus, it uses more gasoline or diesel than full hybrids and has higher emissions. But mild hybrids are available in larger body models like full-size pickups and SUV’s. One last note before we leave the subject of alternative fuel vehicles. The battery in an electric or hybrid vehicle is not as tame as the one in a standard vehicle. They carry enough voltage to kill you. These are not do-it-yourself vehicles when it comes to preventive maintenance or car care. Only a trained technician should work under their hoods. You know you need new tires, but you’re not sure what type. You look at a tire to get the size: 225, 50, R, 16, 92, H. All the way to the Orange service center you keep repeating it over and over. You even say it over in your mind while waiting in line. Then you get to the counter and the manager asks what size you need. Then your mind goes blank. Tire size can be confusing for many Orange drivers. There’s so much on the side of the tire, and it’s hard to keep straight. Even though there’s a lot on a tire – if you know what it all means, it’s actually more helpful than confusing for Orange tire shoppers. Let’s start with the size number. For example, let’s say a tire reads: 225 50 R 16 92 H. The 225 part is the width of the tire in millimeters – the width between the sidewalls of an inflated tire with no load. The 50 is the aspect ratio – the ratio of the sidewall height to the tread width. Off-road tires will have a higher number and high performance tires will have a lower number. The R signifies it’s a radial tire. And 16 is the rim or wheel size in inches. The 92 is the load rating index – it’s the load carrying capacity of a tire. The higher the number, the more it can safely carry. Your empty SUV can be safe with a lower number, but you’ll need a higher rating if you routinely haul heavy loads around Orange. The next letter is the speed rating. Not all tires sold in Orange are speed rated. The ratings generally follow the alphabet: the further up the alphabet, the higher the speed rating – with the exception of H – it comes between U and V (don’t ask why). There’s a lot of fine print that most Buena Park drivers probably need a magnifying glass to read. But there are a couple of other large print items of interest. One is the tread type: highway, mud and snow, all season, severe snow, etc. And then there’re the Uniform Tire Quality Grading System markings. The first is a tread wear index. 100 is the base line – a lower number is poorer and a higher number is better. All things being equal, a tire rated 200 would wear twice as long, on a government test track, than one rated at 100. These wear grades are only valid within the auto manufacturer’s product line – Orange drivers can’t compare with other auto makers. And it’s vital to note that a lower rating might be just what you want – a high performance, sticky tire has a softer rubber compound and won’t wear as long, but boy, will it take those corners on twisting CA roads. The next is a traction grade. This measures the tire’s ability to stop on wet pavement in government tests. A – the best, B – intermediate, C – acceptable. Temperature grade measures a tire’s resistance to heat build up in government tests. A, B and C – from best to acceptable. It’s safe for Orange drivers to go with the car maker’s original equipment recommendations that came on your car. But if you want to make adjustments, you’ll now be better equipped to communicate with your friendly Auto Care Plus tire professional. When properly aligned, all of your wheels are pointed in the same direction. Your vehicle will track true and handle the way it is designed. Orange auto owners often associate our wheels being “knocked” out of alignment with an event like a major collision, hitting a pothole, curb or some other object. While these can certainly take your wheels out of alignment, the bumps and bounces of everyday driving take their toll on wheel alignment as well. 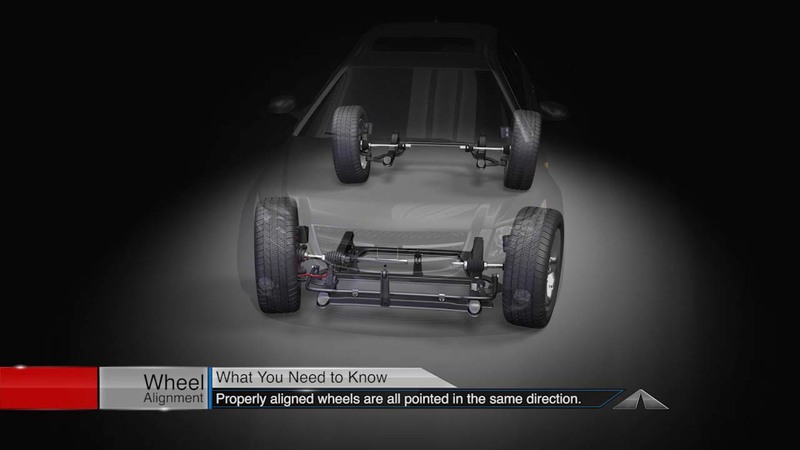 Your vehicle can lose alignment over time with just normal driving. When your wheels are out of alignment, the team of automotive professionals at Auto Care Plus in Orange can return your wheels to the factory settings. Most owners’ manuals suggest a diagnostic examination every year or two. Hello Orange car owners. Have you ever had your check engine light come on? Did you panic? Or just scowl and ignore it? What should you do? Pull to the side of the road and call a tow truck? Or just keep driving? What does that little light really mean for Orange auto owners? First of all, the Check Engine or Service Engine light does indicate that something is wrong. That’s why it is called a warning light. But the something that is wrong might be a loose gas cap, or it might be serious SUV engine trouble. That’s why Buena Park car owners often don’t know how to respond to it. The check engine light has two modes: it flashes or it stays on. A flashing light is serious. You need to get your vehicle to Auto Care Plus in Orange ASAP. No, you don’t need to call a tow truck, but, yes, you can’t wait to get your car serviced. If your check engine light is on and flashing, you should not tow trailers, haul heavy loads or drive at CA expressway speeds. Any of these could lead to serious damage that could result costly repair bills for Orange motorists who ignore it. A steady check engine light is less serious, but that doesn’t mean it can be ignored by Irvine auto owners. You should plan to get your vehicle inspected at your local Orange automotive service center the first realistic opportunity. Not the first convenient opportunity, but the first realistic one. Before you take your SUV in, however, check the gas cap. A loose gas cap can trigger the check engine light. If it is loose, twist it until it clicks three times. If that was the problem, your Orange engine light will reset after several days. However, if it stays on, then you need to schedule an inspection at your Orange auto repair center center or Auto Care Plus. Modern automobiles have a computer in the engine that monitors and controls many of the engine functions. When the computer senses something wrong, it first tries to fix the problem itself by adjusting the SUV engine. If the problem persists, the computer signals the check engine light to come on. This process stores a trouble code inside the SUV engine’s computer. Your service advisor scans the computer and reads the code. This does not tell the tech exactly what is wrong with the car, but it gives him a good idea as to where to start looking. It is NOT good auto advice to deal with a check engine light by disconnecting the battery. Yes, this makes the light go off, but it doesn’t solve the problem. It’s rather like trying to put out a fire by disconnecting the smoke detector. Also, disconnecting the battery will erase your SUV’s computer memory. An engine’s computer, over time, learns to adjust for peculiarities of the specific SUV engine, for driving conditions in your Stanton area, and for your driving habits. Losing its memory means it has to learn and adjust for these things all over again. Also, don’t buy a cheap consumer scanner or get a trouble code read at your nearest Orange auto parts store, then try to fix a problem yourself — unless, of course, you are a trained Buena Park mechanic. Today’s auto repair equipment is fairly high-tech and knowing a code is only an indication of where a problem might be, not the answer to what is wrong. Trying to save a little money by doing it yourself may end up costing you big in the long run. Of course, the best thing to do is to keep that pesky check engine light from coming on in the first place. Good car care and routine preventive maintenance go a long way to keeping your SUV out of your Orange auto repair shop. But, if that light does come on, be smart. Take care of the problem early, and take care of it professionally. Orange motorists have probably noticed that the government mandates a lot of equipment on cars: emission devices and control computers; safety equipment like airbags; and crash worthiness requirements. All of this is great for the motoring public in Buena Park but it does add quite a bit to the price of a new car in CA. Because new cars are more expensive, Orange residents are driving their old cars longer. The average car is now over nine years old. 68% of vehicles on the road have more than 75,000 miles/120,000 kilometers. As cars age, their performance drops, they have difficulty idling for long periods and are more sensitive to weather extremes. Fortunately today’s cars are up to the challenge – but they need a little help to keep on going. Some owner’s manuals don’t outline service requirements and schedules at higher mileage. Of course, that doesn’t mean it doesn’t have to be done. In fact, it’s more important than ever for Orange drivers to stay on top of routine auto maintenance for cars with more than 120,000 miles/190,000 kilometers. Just extend regular service intervals out: for instance a service that’s recommended every 24,000 miles/38,000 kilometers should be performed at 24,000 mi/38,000 km; 48,000 mi/77,000 km; 72,000mi/116,000 km, 96,000 mi/154,000 km; and on and on. Because of the additional stress older engines experience, the severe service maintenance schedule may be more appropriate than the regular schedule. Watch for leaks – seals and gaskets dry out over time and do not hold the fluids as well as they used to. If you don’t already have one, it is more important than ever to get a good tech, like any one of the automotive professionals on our team at Auto Care Plus. There are some services and replacements that are scheduled after you put some clicks on the odometer, like timing belts, valve train adjustments, suspension, anti-lock brake service, air bags, etc. And unexpected repairs down the road are just par for the course. Check for unusual sounds, smells or the way your car feels. These could be hints for Orange auto owners that trouble is brewing. Better to catch it early before it turns into a significant repair. Regular wash and wax will help maintain your car’s appearance. One of the things Orange drivers can do to really help a high mileage vehicle is to begin using high mileage formulation fluids. There are special engine oils, coolants, transmission fluids and power steering fluids that are formulated for cars that have higher mileage. High mileage oil is designed to condition seals and gaskets, reduce wear and avoid premature burn off. Older SUV engines are dirtier inside – and dirty engines contaminate their oil faster. High mileage oil has special additives that clean the engine, removing sludge deposits over time. The result is less stress on the engine, better MPG and excellent wear protection. Come into Auto Care Plus in Orange for a checkup. Studies have even shown that using high mileage fluids early will actually prevent some of the problems of high kilometer vehicles. So once you hit around 50,000 mi/80,000 km, consider stepping up to high mileage formulations. The fluids cost a bit more than standard fluids in Orange because of the additional additives, but they can be worth their weight in gold for Orange car owners in terms of preventing costly repair costs down the road. It does cost more for car owners to properly maintain a higher mileage vehicle in Orange – but it’s much cheaper than a new car payment! Your SUV requires plenty of clean fuel to run. If your fuel contains contaminants, your fuel injectors will eventually become clogged up. When this happens, your SUV engine may not get the proper amount of fuel at the correct pressure to run at peak performance. This hurts fuel economy and performance as you drive around Buena Park. It can also lead to the buildup of harmful deposits on valves and in the combustion chamber. That’s why all vehicles, including SUVs, come equipped with a fuel filter somewhere between the engine and the fuel tank. The job of the filter is to clean out little pieces of dirt and contamination. The filter captures the contaminants and keeps them out of the fuel stream. Of course, like all filters, it will eventually get clogged up and need to be replaced at Auto Care Plus in Orange . If your fuel filter is clogged, the SUV engine can’t get all the fuel it needs, and it may sputter at high speeds or quick acceleration. Many fuel filters have a bypass valve that will allow unfiltered fuel through when they are clogged. This keeps your SUV engine running, but doesn’t protect it from detrimental contaminated fuel. Orange car owners may find that they need to change their fuel filter at Auto Care Plus more frequently as their SUV ages. Over the years, additional sediment and detrimental rust accumulates in the fuel tank and can be drawn into the fuel system. Your fuel filter stands guard at the gates to your engine to protect expensive parts and to maintain performance and MPG. We find that a lot of Orange service and repair at Auto Care Plus are a little tentative when they talk with their automotive advisors. They want to ask questions, but don’t want to be embarrassed or to seem pushy. Cars are very complicated and there’s more to know about them than most of us have the time to learn. Maybe it’s because cars have become so much more reliable that the average person just doesn’t need to know as much to keep their vehicle on the road. You know, your local hospital has a Patient’s Bill of Rights that they post throughout the hospital. We think our Orange automotive service customers also have a right to ask any question they need to understand what is wrong with their car and what it will take to fix it. They need to feel free to ask the cost and benefits of recommended services. And they certainly have a right to understand the financial end of the transaction. It’s all about the communication. It’s a little harder when you’re trying to find the right service center in Orange. But once you’ve developed a relationship, the communication should come easier. What are some of the barriers to communication? Well, let’s go back to the medical example. When your doctor’s explaining something to you, it’s something that she understands very well and is very familiar with. So she may use jargon you don’t understand or that you don’t have the education and training that’s foundational to understanding what she’s trying to explain. So you fall behind and get frustrated. It can be the same with your Orange automotive service advisors. Most of them are very busy trying to service and fix cars to get their customers back on the road. So, just ask when you feel you need more information. Financial related issues seem to be most frustrating to customers. If you’re not sure, ask what the payment policies are. For example, there’s a big difference between giving your car a quick once over and doing a thorough inspection. Diagnosing a problem may take quite a while. Make sure you know what’s done as a courtesy and what has a fee. Remember, you still have to pay for the office visit even if the doctor says you only have a cold. Communication is a two way street. If you have some real budget concerns, ask your Orange service advisor what he can do. He can give you priorities and options. He can tell you what needs to be taken care of right away for safety or financial reasons. Then you can work out a plan for when to get the rest done. He can also help you with options on the parts. The preference is to always use a high-quality part with a reputation for reliability. But if money is real tight, he might be able to find a rebuilt part or a used part. He should tell you the difference in the guarantee for the part so you can make a good decision. Ask about warranties for parts and labor. Be sure to get all the paperwork you need to make a possible claim in the future. Your service center and its technicians stand behind their work and want you to understand precisely what that means. Be sure to ask for and keep a detailed explanation of all the work that’s done on your vehicle. These records will help you keep track of service, warranties and document the good care your vehicle has received when the time comes to sell it. Call Auto Care Plus to make an appointment. There’s a reason we use the word “diagnose” when we talk about fixing cars in Orange. Figuring out what’s wrong with your SUV has a lot of similarities to figuring out what’s wrong with someone who is ill. Vehicles are a mass of complex systems that can produce a variety of symptoms when something goes wrong. As with human diagnoses, a specific symptom may be indicative of a number of problems, and figuring out the specific cause takes training and experience. Sometimes the diagnosis of your SUV’s trouble comes down to a matter of trial-and-error. This can be frustrating for Orange drivers because time and money are on the line. You may feel you should only be paying for repair work. Of course, you only want to pay for the right repair – and a proper diagnosis is part of getting it right. Like at the Orange doctor’s office — some of what you pay for is the doctor’s time and effort to figure out what’s wrong with you, not for the actual cure. The good news is that Orange drivers can do a lot to help out their friendly Auto Care Plus tech in figuring out what’s wrong with their SUV. Again, the medical office is a good analogy. The more information you can give your doctor about where it hurts, when it hurts and how it hurts, the more quickly he will be able to help you. In the same way, the more you can tell your Orange service technician about when the problem occurs, what is sounds like, how often it occurs, where it occurs, etc., the more efficiently he will be able to get you back on the road. Good auto advice: learn how to talk to your Orange tech. If fluid is leaking from your SUV, you should note the color of the fluid, where under the car the puddles form, and when they form (e.g. only when it’s parked for a while, only if the engine’s hot, when the weather turns cold, etc.). For example, if your SUV is making an unusual sound, you should indicate where the sound is coming from, what kind of sound it is, and when you hear it (again, be very specific). The more details you can give, the more helpful you will be. “I hear the sound when I turn left” is more helpful than “I hear the sound when I turn.” After a few conversations with your Auto Care Plus service advisor, you should get a feel for the kind of information he needs. If you drop your car off, leave a detailed note describing information about your SUV’s problem. A quickly scrawled “Making a funny noise” will only lead to frustration for both your technician and for you. Good communication leads to better car care for Orange motorists. If your SUV is occasionally stalling or sputtering, you may need a little more patience than with other types of car trouble because these types of problems are intermittent. In order to fix the trouble, your technician often finds it helpful to reproduce the symptoms. And if the problem is intermittent, it may take a while to do so. In these cases, specific information can be invaluable, as it can significantly reduce the time it takes for your friendly service specialist to get your SUV to misbehave. For example, if you can tell your technician that the vehicle only acts up after it’s been driven for 20 minutes and over 50 mph, it will allow him to quickly reproduce your problem, greatly reducing the time it will take for a car diagnosis in Orange and then get it repaired. Good preventive maintenance goes a long way to keeping your car out of the Buena Park repair shop, but if you need to get it repaired, good communication will get you back on the road quickly. 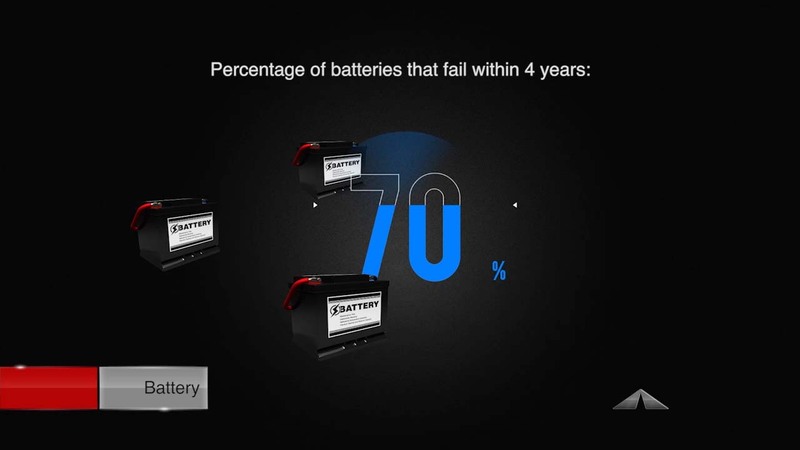 The simple fact is that 70% of car batteries fail within 4 years. They just need to be replaced when they are no longer able to hold a full charge. Batteries are a big ticket item for most Orange drivers and it’s tempting to put off buying a new one as long as possible. But a battery that cannot hold a full charge requires the alternator to work extra hard, causing it to wear out prematurely. Your Auto Care Plus technician can test your battery to see if it should be replaced. Testing is a good idea for CA car owners because a battery might still be good, but become dead because of a bad alternator or even a worn serpentine belt and tensioner. Which Item is Most Stolen from Vehicles in Orange? Which item is most often stolen from vehicles in Orange? Well, if you said stereo – you used to be right. But airbags have now surpassed stereos as the biggest target for theft in Orange – approximately 50,000 a year are stolen across the country. New airbags cost about $1,000, but go for $50 to $200 on the black market in Orange. Stolen airbags are making their way back into cars that have been in an accident. Of course, the danger to the consumer of having a stolen airbag installed is that you can never be sure what may have previously affected them and if they will work right when you need them. Contact Auto Care Plus for more information about where to get your airbags checked or replaced. There are reports that 1 in 25 airbag replacements are stolen or salvaged airbags – or no airbag is installed at all. Use a reputable collision repair center that employs ASE certified mechanics (we can offer recommendations at Auto Care Plus). Inspect the invoice to ensure that the repair shop purchased the airbag from a manufacturer, dealer, or recycler. If you can inspect the airbag prior to installation, it should be packaged in a sealed container from the manufacturer. You will see the SRS light (Supplemental Restraint System) when you first start your vehicle up. This tells you that the airbag system is activated. If you do not see the SRS light, there is likely a problem with the airbag system. For more information, contact Jack at Auto Care Plus by calling (714) 771-7587.